Walgreens Pharmacy Error Claims | Kennedy Hodges L.L.P. Pharmacy error affects all pharmacies, big and small. Chances are good that a Walgreens pharmacy is just a few blocks or miles from your home. Walgreens is the most recognized pharmacy in the nation, filling billions of prescriptions every year at 8,169 locations in 50 states. With that many prescriptions going through the system each day, it is probably no surprise that there have also been numerous claims brought against Walgreens for pharmacy errors or prescription errors. After feeling nauseous and vomiting one month into her pregnancy, Chanda Givens thought the symptoms she was experiencing were simply morning sickness. Another month later, Givens miscarried her baby. In the hopes of getting pregnant again, Givens went to Walgreens to refill her prenatal vitamin prescription and found out that the pharmacy had made a mistake; she had been taking chemotherapy drugs instead of prenatal vitamins. In 2008, the St. Louis couple filed a lawsuit against Walgreens because they claimed that, instead of Materna (prenatal vitamins), the pharmacy gave the patient Matulane, which is a chemotherapy drug that interferes with cell growth and development. The lawsuit claims that this error caused her to miscarry her baby. Failed to follow proper protocol. The lawsuit asked for actual and punitive damages of $75,000. This case was settled out of court. Beth Hippely, a mother of three, was written a prescription by her doctor for the blood thinner Warfarin to treat breast cancer in 2003. A Walgreens pharmacy filled the prescription, but the medicine was 10 times stronger than the intended dose. Court documents claimed that inadequate pharmacy training led to a 19-year-old pharmacy technician incorrectly typing in the prescription, which resulted in Hippely receiving 10 times the prescribed dose. According to the lawsuit, the prescription error caused a cerebral hemorrhage, which led to permanent bodily injury, disability, and physical pain. Hippely had a stroke and died at age 46. The jury awarded Hippely's family $25.8 million over the medication error. The Deerfield, Illinois, Walgreens was brought to court for breach of duty and wrongful death. Are High School Students Filling Your Prescriptions? Some undercover consumer studies have revealed disturbing findings about who is filling your prescription in the pharmacy. Many consumers may think that pharmacists are trained and are the ones that are supposed to be filling your prescriptions, right? Unfortunately, there is an ugly truth about who is really handling your medication. Many pharmacies rely on "pharmacy technicians" to fill patients' prescriptions on a daily basis. In fact, most prescriptions in pharmacies are filled by these technicians, not by pharmacists themselves. While many pharmacies require that a pharmacist double-check every prescription filled by a technician, the truth is that many errors slip through the cracks. Many states only require that pharmacy technicians hold a high school diploma or be working toward a GED. Each pharmacy has their own training requirements: some pharmacies only require technicians to watch a training video before hiring them to fill prescriptions. Texas pharmacy technician requirements from the Texas State Board of Pharmacy: "On-the-job training is the only training required for pharmacy technicians/trainees. Currently, there is not a requirement for a pharmacy technician/trainee to attend a formal education program." In one lawsuit against Walgreens detailed above, Beth Hippely received 10 times the prescription dose for a blood thinner because of a typing error made by a high-school pharmacy technician, which the lawsuit claimed the pharmacist on duty failed to detect. In this case, testimony from the technician revealed that other Walgreens employees, including stock workers, were sometimes brought in to work behind the pharmacy counter when the store was busy. 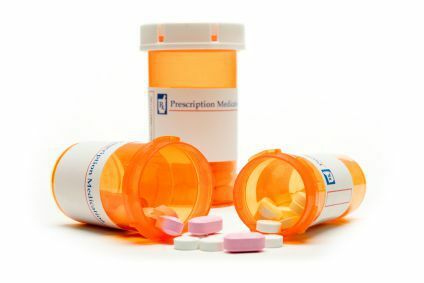 Pharmacies have adopted a method of filling as many prescriptions as possible while placing a low bar in regards to the training of their employees. Corporations are looking out for their profits, not for the protection of consumers. Making an error in this industry can lead to a patient's death and consumers must be aware of the real danger of pharmacy errors. If you or a loved one suffered because of a medication error or prescription error, contact our board certified attorneys at 888-526-7616 for a free case review, or order our FREE book, "How to Make Pharmacies Pay for Your Injuries Caused by Medication Errors"